Most of us, when we picture life beneath the sea, tend to focus our imaginations on the sights—shimmering schools of fish, predatory sharks, luminous reefs. We seem far less concerned with what it sounds like beneath the waves—which is why you may be surprised to learn that marine life has a lot to say. Indeed, the ocean is rife with the chatter of fish that indulge in a variety of “squawks, burble and pops” according to Robert McCauley, who’s been studying these vocalizations for nearly thirty years. Worldwide, some 800 species of fish are reported to make sounds while engaging in a variety of behaviors: feeding, defending their territory, signaling to others, and mating—to name just a few. Most fish chatter comes from solo vocalists, but as researchers are now learning, these are also fish that talk together. By sticking two sea loggers off the coast of Port Hedland, Western Australia for 18 months, McCauley and his colleagues managed to identify seven distinct choruses, most of them occurring at sunrise, sunset, or both. McCauley was kind enough to share a few examples with Gizmodo. These first two come from groups of Terapontids and Mulloway (Japanese croakers), each engaged in a spawning aggregation. I for one never imagined that fish orgies sounded so much like rusty tubas! As for why fish babble together, “at the moment, we often simply don’t know,” McCauley said, adding that because sound travels quite well underwater, some of what we perceive to be choruses could be a bunch of soloists, all screaming into the abyss and giving the impression of harmony. In other cases, the chatter is dense enough that we can be fairly sure the fish are vocalizing as a group. 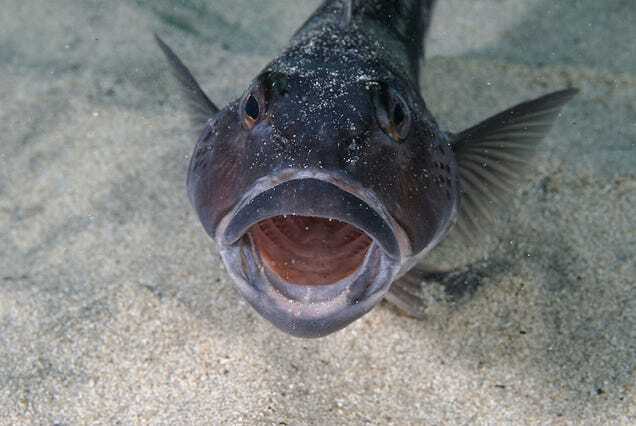 Some fish even have an “acoustic niche,” meaning their calls occur at a distinct frequency not used by others in the area, “so that the intended recipients have more chance of hearing them,” McCauley said. Clearly, we still have a lot more questions than answers about fish choruses. If, however, scientists ever discover octopuses talking together, there’s no time for academic studies. The uprising must be quashed immediately.